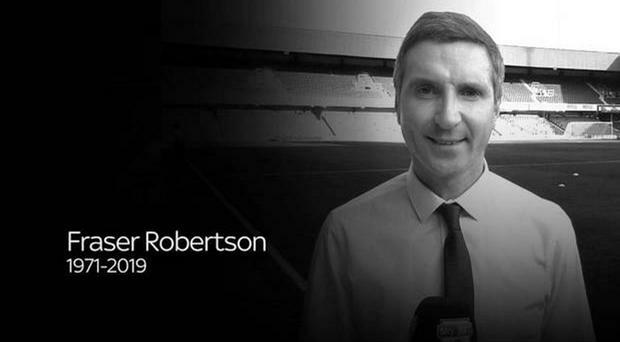 Sky Sports News presenter Fraser Robertson has passed away. Sky Sports News presenter Fraser Robertson has passed away aged 47. 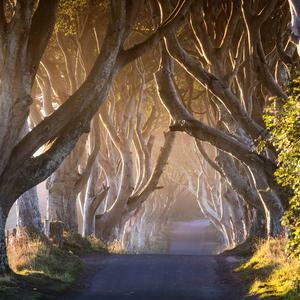 The Scottish broadcaster was well-known in Ireland over his coverage of the team's fortunes during Mick McCarthy's first stint in charge, including the Saipan affair that saw Roy Keane sent home from the 2002 World Cup. “It’s very sad. I really feel for his family,” McCarthy said. “He was a great lad, I used to laugh with him because he used to always end his reports with that ‘Sky Sports News’ line. I always repeated it to him any time I saw him. Former Ireland striker Clinton Morrison took to Twitter to join in the tributes writing: "Rip Fraser Robertson such sad news. "I will remember all the good chats and the laughs we had with Ireland for sky sports you was a good man you will be sorely missed." Former Ireland goalkeeper Shay Given added: "Sorry to hear the news of the passing of @SkySportsNews presenter Fraser Robertson. "Did lots of interviews with him over the years (Great man) Way to young to pass, thoughts and prayers with his family and friends RIP." Fraser's former colleague Adam Leventhal paid tribute to him. "So sad to have lost Fraser Robertson so young," he tweeted. "A journalist always committed to the cause, digging and eager to get the stories. Full of energy off camera too and on the golf course. Thoughts with his family at a terrible time." Sky Sports confirmed that he passed away from natural causes. He is survived by his wife and daughter.